Natalie Musteata is a Ph.D. candidate at The Graduate Center, CUNY, where she is completing her dissertation on the post-war history of artist-curated exhibitions. At The New School, she teachesArt in the XXI Century,Art into Action: Socially-Engaged Practices in the 20th Century, andPerformance and Participation in the 20th Century. 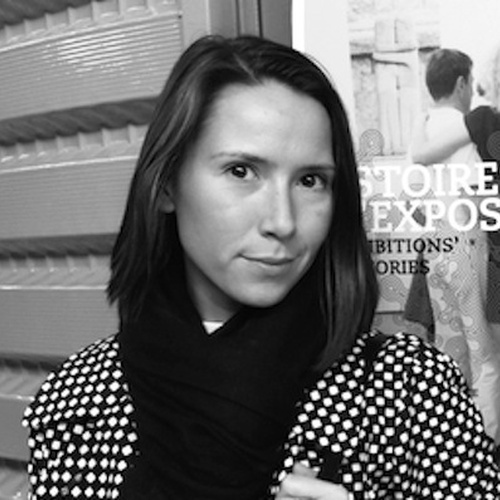 She has organized conferences and presented papers internationally on the subjects of exhibition history and the intersection of art and politics for such institutions as Centre Georges Pompidou, The Vera List Center for Art & Politics, College Art Association, and The Center for the Humanities, The Graduate Center. She writes regularly for artforum.com, Performa Magazine, and Art21, and is the curator of several exhibitions of socially engaged art, includingUNREST: Revolt against Reason, apexart, 2012, andif I can't dance to it, it's not my revolution, Haverford College, 2014.